LTO Flash! unlocks the power of your Intellivision™ video game system. 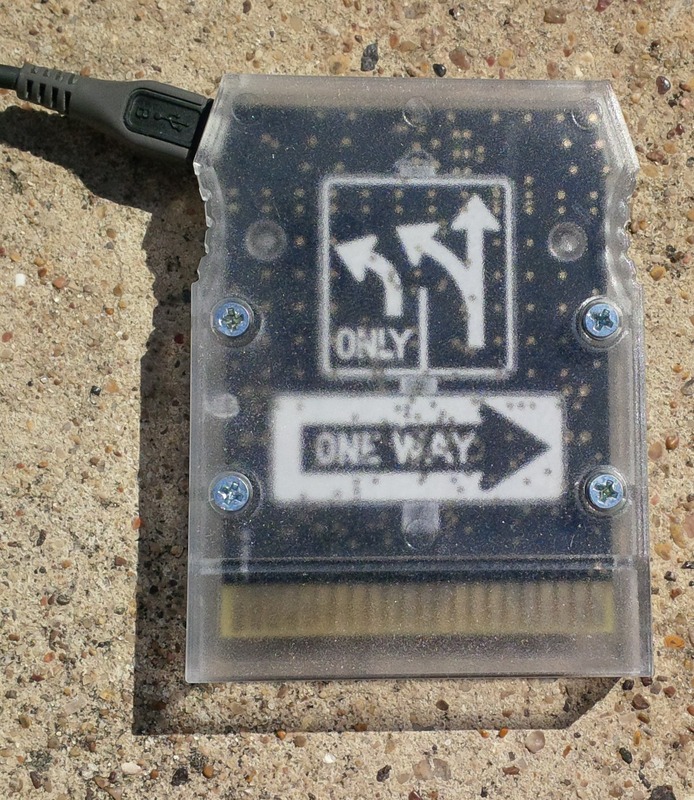 It places your entire game catalog at your fingertips in a single, powerful cartridge. It also opens the door to exciting possibilities for new games to come. 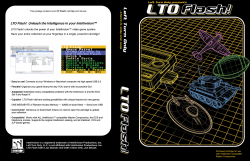 LTO Flash! connects to your Windows or Macintosh computer via a high speed USB 2.0 link. An intuitive graphical interface organizes your game library however you like. Simply drag and drop games into folders, sync it up, and voila! You're ready to go! Have a large game collection? No problem! Group games into as many folders as you like, in whatever order you like. Want to highlight your favorites? Color code your games to make them easy to spot. Long game titles got you down? LTO Flash! keeps track of the game's full name as well as a shorter nick name to keep the clutter down. Want to keep your games' manuals at your finger tips? Download them along side your games and you'll have them handy wherever you go. Got a game you're just itching to try? Or maybe you're writing a new game and you just want to test it? Download & Play lets you try it out with a single click, without even unplugging LTO Flash! from your Intellivision™ system. Some games aren't compatible with every system or peripheral. LTO Flash! won't let that get in your way. It detects and works around common incompatibilities, to let play on the Intellivision II and ECS that couldn't before. LTO Flash! can also bypass the ECS title screen for games that don't need it. Now you don't need to unplug or fiddle with anything to play your favorite 3rd party game. Just point, click and play, all in a flash! LTO Flash! 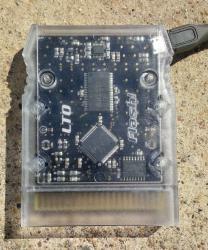 provides ONE MEGABYTE of RAM and a high speed USB serial link for new game development. New games can communicate with your computer via USB, opening new possibilities for online entertainment. Games can also save high scores and other game state in its generous on-board 32MB flash. LTO Flash! supports all Intellicart, Cuttle Cart 3 and JLP based games. 1MB RAM, organized as 512K x 16 bits. Fully available to new games via bank switching. 32MB on board flash. No need to open the cartridge to change an SD card. High speed USB 2.0 serial connection. Supports speeds up to 1Mbit/sec. 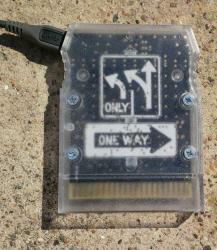 Serial port available to new game software. Intuitive Windows and Macintosh graphics user interface. Field upgradable. When new features become available, an upgrade is a click away. JLP Flash support. Games can save up to 192K bytes of information in the on-board flash. JLP Acceleration support. Gives new game writers an edge. Compatible with all ROMs from Intellivision Lives! and Intellivision Rocks!, all Intellicart / CC3 ROM images, and homebrews developed with SDK-1600. Compatible with all Intellivision compatible systems, including Intellivision II, Sears Super Video Arcade, TandyVision One, INTV System III, and Intellivision SuperPro System. Compatible with the Intellivision Entertainment Computer System (ECS) and Intellivoice. THERE IS NO LIMIT TO THE NUMBER OF COPIES YOU MAY PURCHASE! I would buy one! Yeah! Not until release at CGE, Then it will be available online per original post. can't wait! The long days of regret over never buying CC3 when I had the chance will soon be over! Woah, this is fantastic news! So is this the "voltron" project? Edited by voltron, Mon Jul 28, 2014 1:29 PM. This is Joes baby... Psychotron was replaced by Project L.
Ah, so were you still doing one as well? Groovy Bee was working on one two, if I recall. Psychotron was replaced by LTO Flash.. There is a special intellivisionarues podcast you can listen to to see how it all evolved. there are links on this forum. Fantastic, I won't make CGE but will be buying on-line ASAP! CGE is around the corner and sales should be around that time. Technically that is correct. Voltron is being modest. I teamed up with Voltron after his project stalled. The first try of Voltron's cart ran into tech difficulties and engineer availability problems, so we approached Joe to re-boot the project. 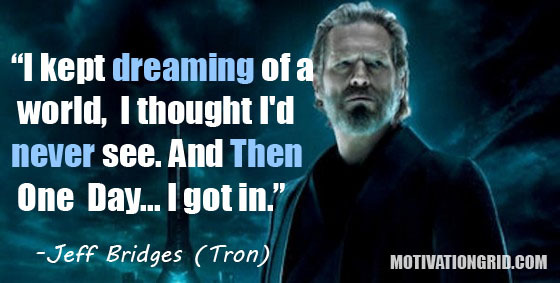 He agreed to do it as an LTO product. He is responsible for the concept, engineering and manufacture. So, even though it is an LTO product, it is what Voltron's cart morphed into. 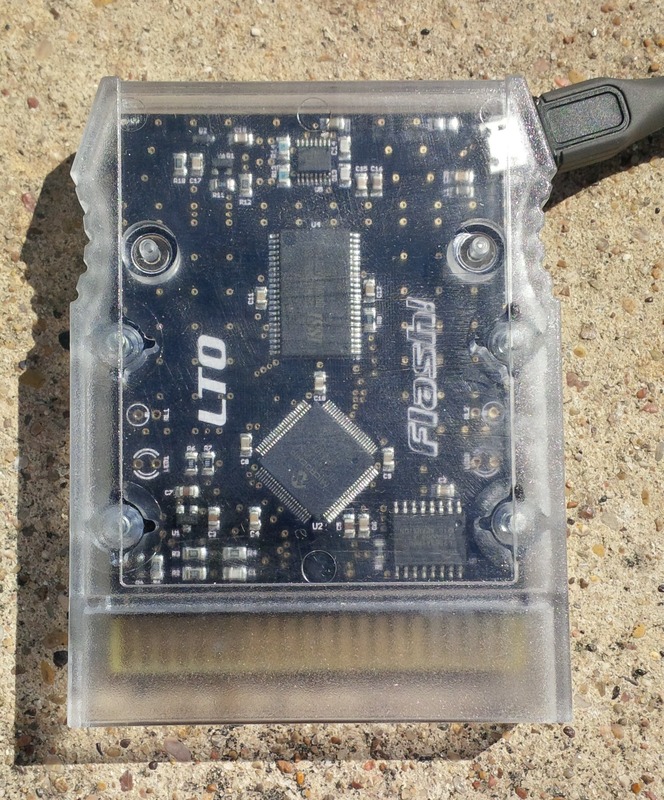 Project - L aka Psychotron aka 'Lesbian Tron' aka LTO Flash! When LTO Flash was being made, Joe Hinted out some clues on a project he was working on, and people were trying to guess what it was. 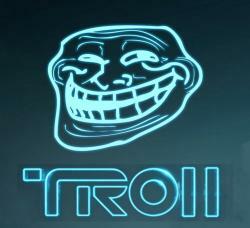 Rev the resident pervert coined the name Lesbian Tron. This is very, very cool. Good luck with the project and the release event. I am definitely going for one. Cheers. Thanks. This thread was created to give more readily available information about the product. 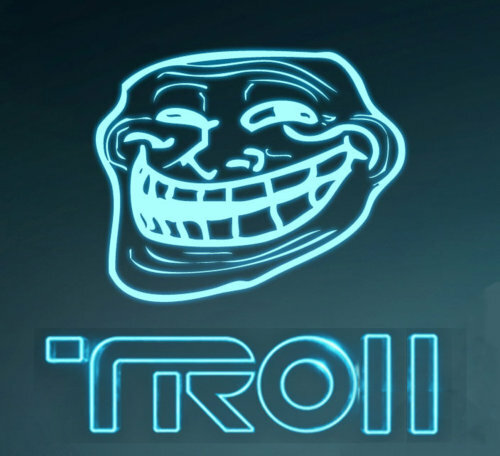 Although it was a bit of a 'joke' about the 'lesbian tron' bit, I'd like to keep the silliness out of this thread. Let's try and limit further posts to product questions. Not trying to rain on anyone's parade. We just need a place for handy info on the product. Indeed, thanks for this information. The CC3 is still on my Wanted list here on Atariage, and this will suffice. CGE is a no go for me, but this info is much appreciated. I've already been in contact with Joe thanks to your heads up. LTO Flash! makes the Cuttle Cart 3 obsolete. Not only is it easier to use with 'drag and drop' capability, but it is MORE compatible. So far, games that WILL NOT work on a CC3 include Match 5, The Lost Caves of Kroz and Boulder Dash® because they use JLP specific features. Nice. I will be buying one also.